National Coach Wu Jingping on Chinese FH. I nominate this for a sticky in Coaching! It's such an awesome translation. KUDOS to all the patient and helpful translators for making this useful article available. Did you guys have the help of online translators or did you guys manage it all on your own. If it's the latter, WOW! I just recently came to see this thread. Totoro thank you very much sir. Really appreciate it. Kudos to you. and i second that nomination!! thanks again to all the translators!! This is going to be a huge help in my game. I thank all that participated and third the nomination making this a sticky in Coaching. wow!! thanks a lot!!! just read it. great article .. thanks for the translation!!!!! yeah. it's lucky that I can read this article in Chinese, but certainly wish all of you can read it if you are a penhold fan. Here just want to say I am really agree with coach Wu's insight and even my coach (who is a Chinese) is training me with a few of his detail. Such as transfer of transfer center point of gravity, retract of forearm, hit point of the ball (plus rubber differences), turning on waist and re-train of footwork are all important, especially footwork. I believe this is not only for penhold. It is good for handshake. As what he use in training Ma Lin and Wang Hao, a lot of training is using the mid to long table loop that is used to train handshake player. And as RPB becomes more popular, the way to play will become more like handshake in a lot of areas. Penhold and Shakehand weight transfer, body movement, footwork is basically the same. Just "BING" it, who says MS is evil?!?! Editorial Board of the table tennis world for many bar I go to letters to the editor and the Internet anti-rubber game fans ' questions, they mainly want to know straight against basic principles and training methods of the rubber hand to pull the ball, particularly wanted to learn Marlin working on the explosion rushed. Many fans on hand to pull the ball for a technical discussion, express their views, and asked a lot of questions, some questions were very professional. After I read was very touched, and this, I feel like I have an obligation to put these years experiences in the training process of Ma Lin and Wang Hao's friends and fans communicate. Because of the different angles of our training, understanding is not necessarily the same of the hand to pull the ball, like training method means it is impossible. Therefore, I can from my friends my experience and training in the context of the Exchange, are for reference only. Table tennis is basically a circular motion, hand and backhand the ball is in the athlete's body weight as the axis, body to body weight of links to RADIUS circular motion. Therefore, both the hand and the back-hand must be consistent with this principle, in this sense, working on the fundamentals of ball movement was a force pass. Basic station: two leg open and shoulder of width for almost same, body slightly Qian pour, gravity in pre Palm, pulled ball Shi, body right go (to right hand for cases), gravity placed in right feet Shang, in go lumbar of process in the, with lumbar control big arm, right shoulder slightly end of, small arm natural sagging, with wrist control plate type, plate type Qian pour (thumb forced pressure live ball plate, index finger slightly relax, middle finger resisted ball plate), plate type Qian pour of angle due to to ball of rotating different and adjustment. Hitting the principle: when hit, to the right hand, for example, punches in the first leg, kick to the left, converting body weight from right foot to left foot, Exchange Center of gravity, body, body and hit the ball in the direction of orientation. Then punches on the waist, lumbar-led big arm, forearm pass, up the moment, shrinking forearm hard hitting. Mechanics principle of speaking, before hand to pull the ball, small angle between the arm and the arm, the smaller the better, this is the greater RADIUS, the larger the RADIUS, the greater the initial velocity, moment up sudden contraction of the forearm, RADIUS acquired smaller acceleration, speed and strength increase. When hitting, to small changes in the angle between the arm and the arm under the ball and hit the ball needs to be changed. Many players working on the ball often focus only on the forearm while ignoring turn waist, lumbar control arm-punch, or notice that a lumbar punch to drive the arm while ignoring your forearm, angle between the forearm and upper arm almost did not change or change very little. Summed up in hand to pull the ball four points should be noted: 1, attention must be focused exchange, before gravity and hit the ball in the direction of orientation. 2, always use waist control arm, is waist-punch, rather than arm-punch, note when you pull the ball legs, waist, arm, forearm, wrist force coordination. 3, hit the ball an instant must quickly shrink exerting force with forearm, wrist, forearm shrinking faster, strength will be issued. 4, ball points must be kept in the front right side of the body, hitting the points near the body more and easier it is to control the ball. A point worth noting is whatever the ball movement, must have and your own physical condition in line is unlikely to affect the actions of punches can be, there is no fixed action patterns. Other is in front of the ball, the ball must maintain a certain distance between the pad and the ball, willing to hit the ball as far as possible, and don't let the ball hit your Racquet, or is the distance between the balls and rackets are too small, easy ball with resist, your punches. Structural changes in the hand to pull the ball: for the majority of our amateur table tennis terms, mostly straight, with the development of table tennis technology, more and more straight people on anti-adhesive. Due to my anti-rubber play is from the bar is the rubber bar of evolution, in both its sense of play and training methods is to follow the straight path of positive photoresist and consciousness. Therefore, on the structure of the action was to close, small ball speed, faster swing speed as the guiding ideology. Training method rarely on hand to attack major strength ball training, more stressed the continuity between the action. For fans, that many amateur sports school training, if you want to change is on hand to pull the ball more easily. That is affecting my bar counter-rubber players are ball strength is not the main reason. I straight against rubber play players in recent years come to recognize the problem in training, therefore, MA Lin and Wang Hao in the training has changed the previous training methods, with special emphasis on hand to power lift training, put this issue straight against top gel play training for settlement. Awareness training in hand to pull the ball from the actions of small changes, speed, continuity is good to a large range of ball stretching, running, strength, good continuity. Underscored the power globe increase on the basis of the continuity and lethal, asked Ma Lin and Wang Hao in the usual footwork training increased the ball's force, practicing good strong cohesion after the ball. In actual of training in the I main used has made strongly pulled rushed from Taiwan issued of draw half high ball, requirements Marin and Wang Hao as with maximum of forces hitting, main training pulled ball Shi action of stretch sexual, and let they gradually habits made strongly pulled ball, master punches of skills, to leg, and lumbar, and big arm, and small arm, and wrist of punches coordination up, main stressed has lumbocrural of punches and body gravity of conversion. Was followed by a full punch drawing washed up on English training, addressing primarily the continuity after the punch punching and footwork to move. 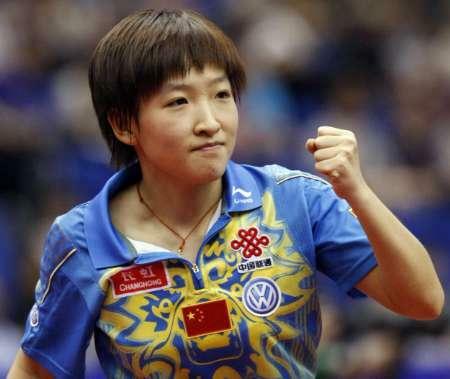 Through training, MA Lin and Wang Hao's hand to pull the ball has been greatly improved. Judging from the effects of competition, I think it was successful in this, which is also on the bar counter-plastic training breakthrough, breaking the stereotypes of bar plastic training models. For most amateurs, to increase the lethality of hand to pull the ball, would have to be some change in the consciousness of the past play, try to make some big strength ball training. Methods and techniques of hand ball: hand to pull the ball is a very complex technology, close to nearly pull the ball, drop ball, long ball, pull Top spin, Back spin, is near, anti-lift, pull half out of the pool, and so on. No matter how complex the ball, but it is the most important foundation is footwork. Footwork is good or bad, directly related to hand to pull the ball hits the size, strength and ball control. To be practicing good hand to pull the ball, you must practice good footwork. In this sense, is the biggest difference between professional athletes and amateur athletes, amateur athletes could not doing a lot of high intensity step like a professional athlete training. But one thing is the same, that's batting skills. As long as the best of the occasion, give full play to the existing condition, may also receive some results. Below, I'd like to introduce you to some of the more practical methods and skills training: 1, adjust point draw: the flush draw is the bar counter-glue the most fundamental basic skills, pull down the English apart from the previously mentioned basic actions other than essentials, pay particular attention to the wrist. Impact is to wrist to rub the ball, hitting point in ball's upper-middle, wrist ball friction also depends on the strength of ball rotation when coupled with a certain degree of impact. Is that it is often said that again and again. Flush draw rotation ball to continuous friction with the impact of the weak, impact can be slightly greater than friction. Strong flush draw rotated the ball must be hitting the hard friction in your own strength offset to the ball's rotation of the ball. Impact important to pay particular attention to the ball forward to send the ball, not * power to hard-hit balls. This is what we always said to eat the ball, try to get the ball in the ball stays on the Board longer. This training ball, your ball will be more and more the feeling of a good, growing number of balls will slowly reach fluency. Methods of training, in the absence of multi-ball can draw the ball into opponent's backhand let each other rubbing a long ball to the side, and pull punches rushed the ball. Attention all out when you pull the ball flush, don't consider a cricket is able to control each other over. Is to let you control them. This training, your ball strength will increase. In how the ball's condition, can let the other draw to your sideways, fixed-point punch punching the ball. Hitting the ball to master a good time, they jumped to the highest point or drop the ball hitting the early is best. Batting time must be relatively fixed, so an easy-pull ball hits, good conditioning. Bounds sent forward a little more, on multiple networks under friction. In fixed-point drawing draw hundreds of cases, then placement of the ball to expand to fixed-point drawing punch and increasing difficulty of pulling the ball, ball's level will increase. 2, adjust point Top Spin: pull Topspin and Backspin is different, hitting the Top spin point is in the upper part of the ball, rubbing the ball than hit the ball, impact must be sent forward. Basic training methods like spiral down and robbed, only rotation of the ball is different, is the Top spin. Push block punches pulled sideways after punching the cricket, or the other you hand to punch after punch, practicing over and over again. There are many balls training conditions, can be made directly by the other Top spin to your hand and grab the Red sideways, placement can be from fixed to variable, and gradually increase the difficulty of hitting. 3, practicing good anti-lift: anti-lift is a high technology, particularly amateurs to master this technology as a duck, you can order the game initiative. Because the General's amateur athletes lift with hanging loop when pulled, you mastered the technique of reverse lift, you stood in more than one on a block level. Back lift of essentials, first to punch yourself, take each other as little as possible of the rotation, with a ball of their own strength to offset each other to ball spinning. Followed by the friction in the pull ball must be thin, friction top or even the top of the ball, both to take each other to the ball's rotation, but also their own friction ball punches. Exerting force with its own pull, hit more. Rotate more afraid of each other to touch the ball, the more easy to eat each other's rotation. Training methods, the other side draw to your hand, you push to the other side, the other high-hanging loop to your backhand, you pull sideways so that repetition, after possession against lift of the basic law, then expanded to pull all drop and not targeted against Taiwan. 4, nearly in hand loop: the technology is very advanced in defense technology, hard to master the technology, is gradually being introduced only in the late 90 's technology. Before that people working on the defense are blocking, take they rotated the ball out of the ball in the past, and key moments of the match is easy mistakes due to tensions, if not failure, anti-ball nor threats of the past, can easily be continuous attack each other. To the late 90 's, Chinese athletes pull on technologies used in defense, especially the bar counter-rubber game players more, accelerate the pace of change-over, had a good effect, Marlin is very prominent in the use of this technology. This technique requires the athlete to ball's judgement very fast, accurate, hands on feel of the ball is very high, because there are so many balls are in the case of loss of body weight, or are not in place, full * time to complete action on the players ' hands. I think that although amateurs can really grasp much of this technology, but already have a certain level of player can go give it a try, maybe you will have unexpected harvest. The key lies in having the right technical skills hitting time and force the wrist, hitting the ball as much as possible take off early (way up), when step really can't get the case, also hitting the ball just jumped up on. * Waist and wrists when hitting punch, ball top. When exposure to balls as to take each other to ball's force, while he punches to friction ball friction as possible thin, friction and thickness under the easy-NET, the friction moment of ball must be on the ball. Training method can be rubbed to draw each other's hand to let the other lift to your hand, and then hand to close fast. This practice will gradually master the basic methods of hitting, faster with each other from the loop to draw more skilled case, then push straight to allow each other to lift their hand to fast training with rotated through loop. That way, you'll grasp the hand to take in the defensive loop technology. This technology are the key points when you hit a certain friction ball to be thin, but be sure to take the initiative with the ball. Youtube's closed caption beta also yields hilarious results. My theory is that Shakehand has actually found a perfect translation of what Wu Jingping said. 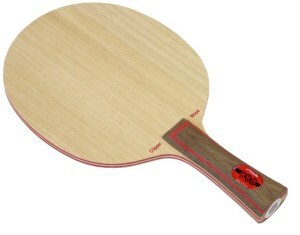 So it's actually a very very long Zen koan, along the lines of "what is the sound of one hand clapping"* If you actually come to understand it -- especially phrases like "particularly wanted to learn Marlin working on the explosion rushed", you will have obtained table tennis enlightenment and along with it, the perfect forehand. This is why so few have mastered that shot. Is this the computer software translation from Chinese? The choice of some words are quite advanced. Some terms are literal translation. I have not figured out the Chinese equivalence for "explosion rushed", especially "rushed". I re-read this article again (in English translated by Totoro) and find that I still haven't done all what mentioned in the article for forehand loop. And even though this article is for penholder, I believe that the same techniques applied to shakehand as well, and also it's good that coach Wu Jingping says something regarding amateur level which is very helpful for us to know what we can and cannot do. And also something regarding European vs. Asian forehand loops because of rubbers' differences. He also mentioned something interesting that we, the amateur, do the hybrid loop which we do not know if we have the Euro or Asian loops. I find that I understand what he said more now than before. closet English translation I can think of is "power loop". Thanks. I think I have heard that term before. It is not in my daily ping pong language. The 9-10 o'clock and 12 o'clock is not talking about the the contact point of the rubber. It is talking about the contact point of the ball. If you were to look at the ball, while 3 'oclock is facing you and 12 is face up and 6 is facing down, you will need to contact between 2 - 3 o'clock of the ball. so you mean in looping underspins i have to hit the ball at its 9 oclock part? For you, depending how your clock starts, but it is the side facing u and hit in the centre of the ball. It's a little more about when to hit the ball in terms of how we, in the west would say it. He is basically saying just after top of bounce. You want the ball to fall a little bit but not too far and you don't won't to hit it at top of bounce or before. Those are different shots. How you hit the ball is somewhat dependent on where the ball is during it's trajectory. What is your query, is just the "o'clock" numbers? In that part he is basically saying to open up your blade angle when loopoing underspin compared to counterlooping topspin. Good translation for those who doesn't understand Chinese.